6th Annual Passyunk Square Art Auction! Art lovers, mark your calendars! 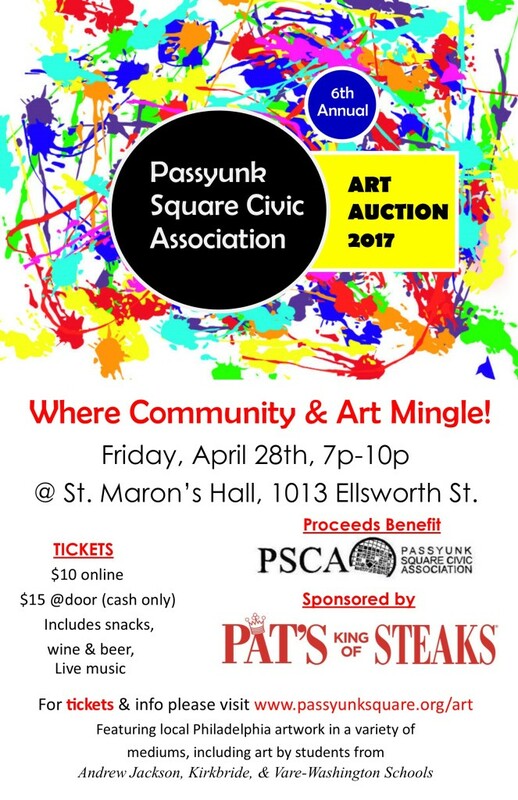 On Friday, April 28th, 2017, from 7:00 p.m. – 10:00 p.m., the Passyunk Square Civic Association will host the 6th Annual Passyunk Square Art Auction! ed for all attendees to add to the festivities. In addition to the auction where you will be able to place bids on the art, there will be items for sale from the artists and a raffle!